Tom Dixon’s Element Candles Collection is inspired by the medieval alchemist and eastern philosopher’s quest to reduce all matter to four bare elements. Four scents of extreme simplicity and individual character are encapsulated in the gift set of Air, Earth, Water and Fire candles. 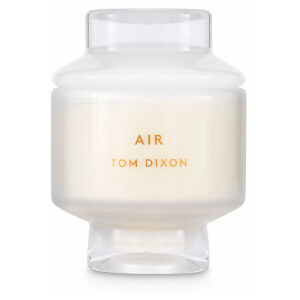 Inspired by the ancient ideology of reducing all matter to four bare elements, the ‘Air’ scented candle from the Tom Dixon Elements Candles collection features a crisp and ethereal scent, accentuated by delicate aromas of white tea, musks and neroli oil. The candle is housed in a glass container with a simplistic brand logo to the front. Inspired by the ancient ideology of reducing all matter to four bare elements, the ‘Earth’ scented candle from the Tom Dixon Elements Candles collection features a mossy, evergreen scent, accentuated by delicate aromas of green leaves, mint and guaiac wood. The candle is housed in a glass container with a simplistic brand logo to the front. 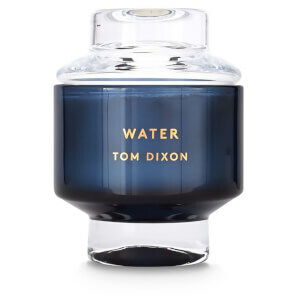 Inspired by the ancient ideology of reducing all matter to four bare elements, the ‘Water’ scented candle from the Tom Dixon Elements Candles collection features a cool, fresh scent, accentuated by delicate aromas of musk and refreshing watermelon. The candle is housed in a glass container with a simplistic brand logo to the front. 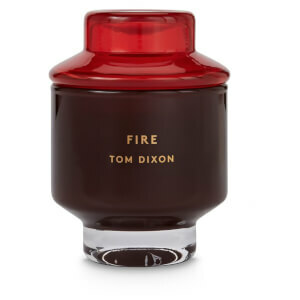 Inspired by the ancient ideology of reducing all matter to four bare elements, the large ‘Fire’ scented candle from the Tom Dixon Elements Candles collection features an dry, smoky scent, accentuated by delicate aromas of Cypriol oil, musk and amber. 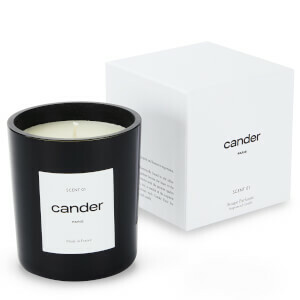 The candle is housed in a glass container with a simplistic brand logo to the front.